Give it a try sometime, search ASMR on youtube, you’re bound to find something you enjoy, and they’re just essentially audio triggers. All of the soothing benefits of our Signature Facial along with a special peeling mask. This unique mask provides a gentle exfoliation, leaving the skin free of dead cells while restoring its suppleness. 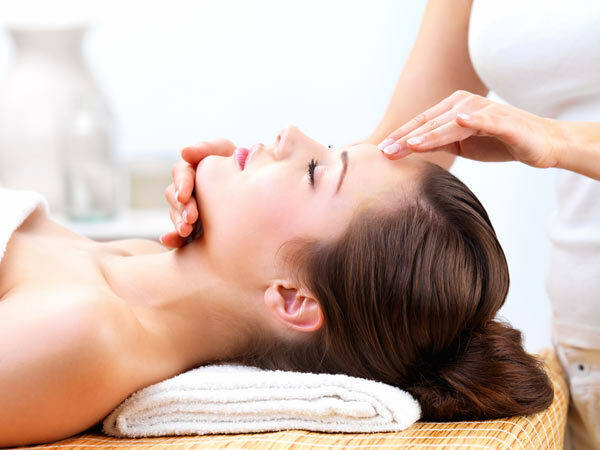 Enjoy the refreshing benefits of this treatment that will leave you positively radiant. Not only does my skin look fabulous it was so relaxing. It would’ve been more relaxing if I had actually shut OFF my phone instead of turning it on vibrate. No one ever calls or texts me, unless there’s a problem. Halfway through my facial I hear a long buzz (phone call) followed by a short buzz (voicemail) than a series of short buzzes (text messages.) My hands were stuck in cozy oven mits, I had stuff all over my face so I decided that I would have to wait, and speculate until the facial was over. (turned out there was a small problem at work but nothing that I could’ve prevented or helped with.) My skin looks so fab today, I think I might go makeup-less! I drank this, it was amazing! Part of the reason this was such a great week was our new Keurig ! I love this thing. 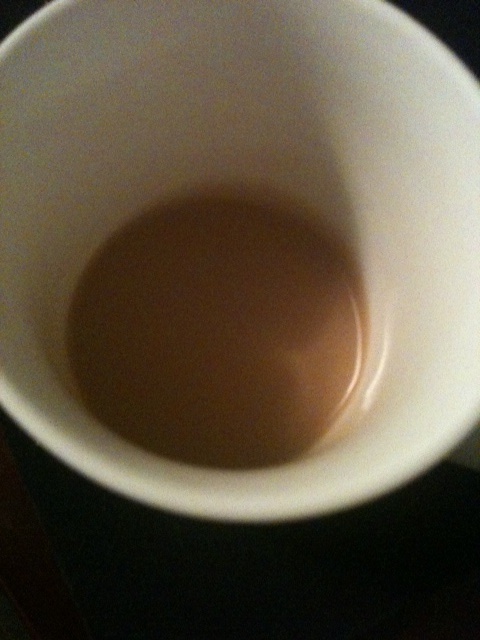 Instead of rushing out to get coffee I just sit in my jammies and watch it brew up the perfect cup. Love, love love. Thank you for all the Keurig suggestions. I’m loving the Newman’s Own coffee so far, and manfriend likes a roast called dark magic. Any suggestions on great tasting coffee we should try? If you subscribe to my little bloggy y you may notice that the name seems to have changed. It’s still ashallann.com but that seemed like such a self serving name, yes it’s a blog about isht I do, but really what does it mean to a reader? That I use three names? I’m trying out my tagline as the title because I think that sums up what I’m trying to do on this blog and in my life, squeezing it all together. Does that make sense? Have a great Friday, Happy July 1st!!! When I’m feeling stressed, angry, minutes away from a panic attack, I reach for something that is so calming…a crayon. 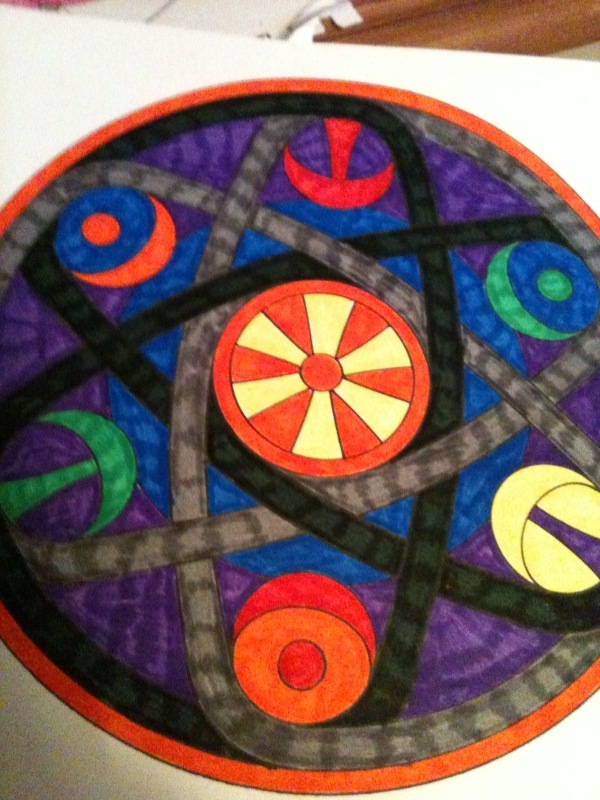 Sometimes a marker, and I color a mandala. 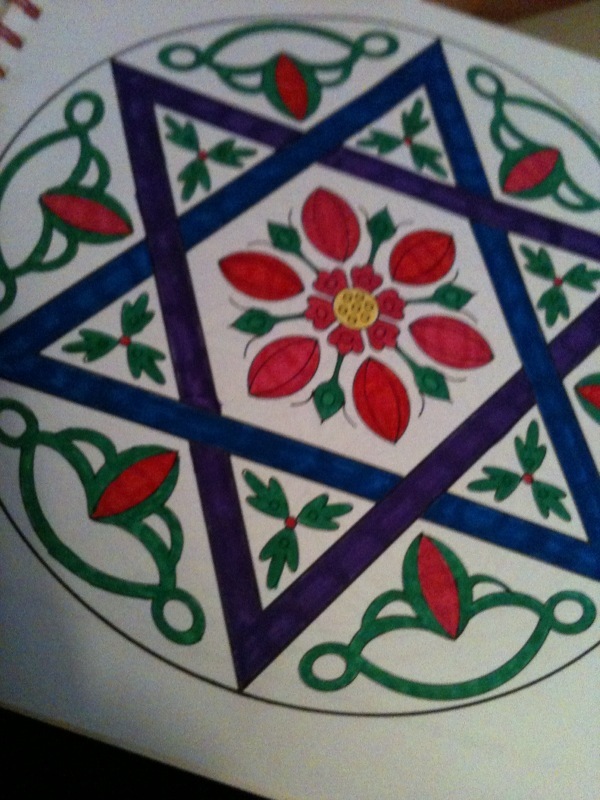 I was first introduced to Mandalas at a yoga weekend at the Dominican Spiritual Life Center in 2003. For a full explanation of what exactly mandalas are, and how the act of coloring can actually be used as a form of relaxation or meditation, click here. 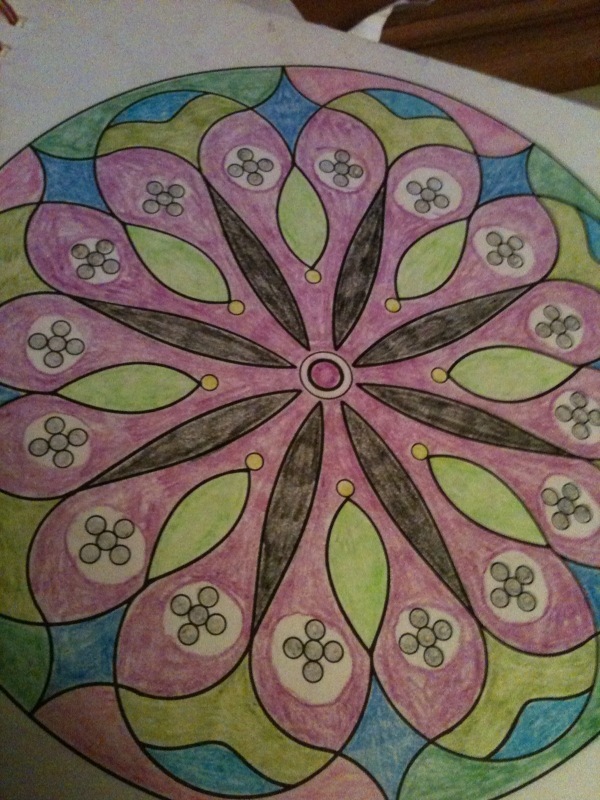 I found a great series of books full of mandalas that can be colored. Yes, some people will say it’s childish, that it’s just a coloring book, but I’ve found it to be an amazing relaxation tool Who doesn’t love to color?! If you’re not ready to purchase a book of clear mandalas, this page has many that you can print. Enjoy!